Videos have proven to be one of the most engaging visual content types for blogs. A great video can hook the audience’s interest, educate leads, increase sales, and establish your brand’s credibility as an information provider. In fact, 51.9% of marketers believe that videos have the biggest ROI amongst all content types. 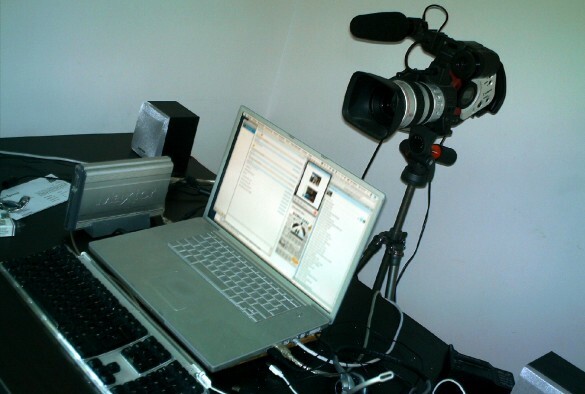 You don’t have to spend a huge amount of cash to create video content for your blog. You can use Renderforest’s free Intro Maker – an intro video tool – to quickly and easily create engaging clips to hook your audience. It is probably the easiest video creation tool you can try this 2016. With this tool, you don’t need a professional production team to create powerful videos that introduce your brand. You simply need to supply the images, text, and logos that you want to use. 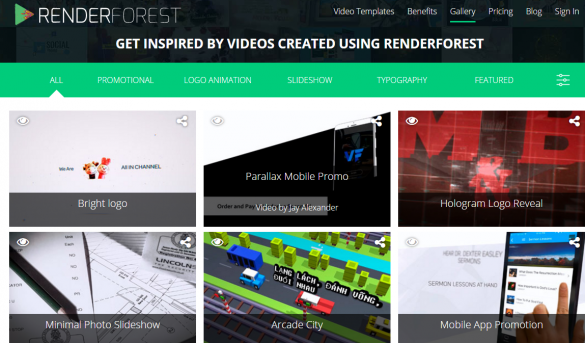 From there, you can use Renderforest’s cloud-based editor and start building your own videos. You can use premade templates to make the video creation process a lot easier. This includes a simple logo reveal, shattering logo animation, abstract universe, and other 3D animations. You can also browse Renderforest’s gallery of video templates that can fit any video content – from company promotional videos to website presentations. Just like Renderforest’s Intro Maker, Stupeflix is another video creation tool for building simple videos and presentations in a short amount of time. All you have to do is to supply your own resources such as videos, music, presentations, and images to get started. The editing process is almost entirely automatic, which allows you to focus more on building a timeline. When it comes to video marketing, it’s important to create content that stays aligned to your blog’s personality. The good news is that Stupeflix has a total of 16 distinctive themes that fit any flavour – from comics to interviews. You can use this platform for free, but you need a paid account to remove the ads and download your videos. 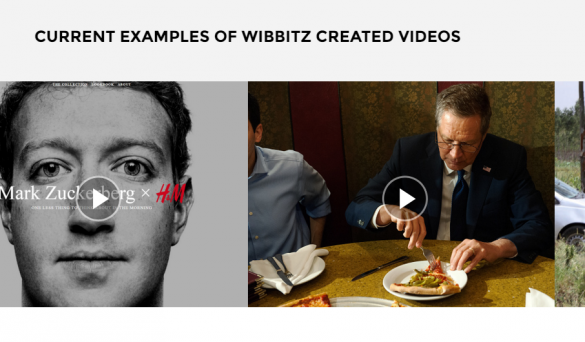 Wibbitz is a video creation platform that will help you instantly make videos from text content. It automatically analyses content and looks for key points that can summarise and visualise the takeaways. This will definitely spice things up for blogs that have a lot of dense and informative posts. Wibbitz treats every story differently – automatically supplying resources that match such as infographics, video clips, and infographics. You can also add professional voiceovers that can further improve engagement. Although the entire video creation process is straightforward and simple, this platform still offers flexible editorial control. 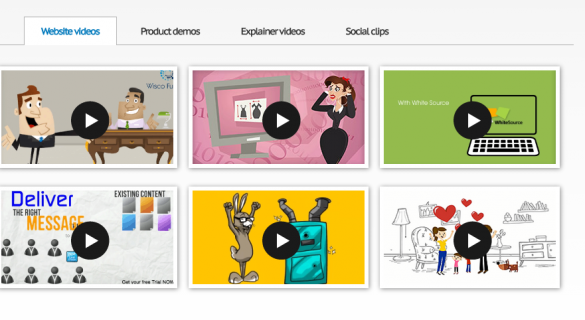 PowToon is one of the most popular tools that online businesses use to create animated videos and presentations. One of its strongest aspects is the great and simple user interface that makes video creation and editing a breeze. With the drag-and-drop editor, you can easily make explainer videos, product demos, videos for social media, and video content for your blog. Another advantage of PowToon is its YouTube integration. However, remember that PowToon is a paid tool and only allows 5-minute videos with watermarks for free users. You may also need a little bit of training to make the most out of the platform. Fortunately, you can refer to the online tutorials available directly from their site. Visual content has been revolutionising the digital world as the most effective means of communicating with an audience. Today, there are countless blogs and online brands that use videos to reach out and solidify a web presence. With simple tools like Renderforest, Wibbitz, Stupeflix, and PowToons, all you need is a head full of ideas and the video creation will be handled for you. The other options are good (I’ve used them all), but I get better and quicker results at tube arsenal. Awesome list of video tools which definitely help to all especially who don’t know about these tools. I mostly create animation videos for my channel because people attract more with animated videos. As per my research, PowToon is one of the most popular tools that online businesses use to create animated videos and presentations. One of its strongest aspects is the great and simple user interface that makes video creation and editing a breeze.